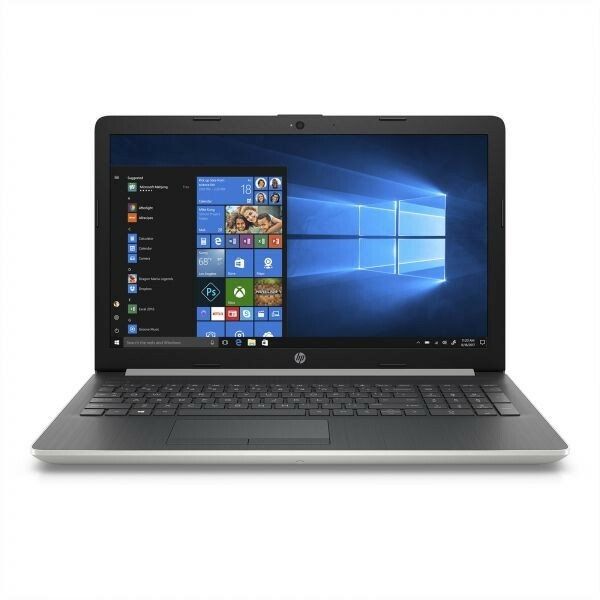 Designed for long-lasting performance, this stylishly designed HP 39.6 cm (15.6") laptop has a long-lasting battery that keeps you connected, entertained, and productive all day. Speed through tasks, or sit back and socialize – with an Intel® processor1 and a rich display. Do it all, all day. A laptop with the power to surf, stream,2 and do so much more with an Intel®processor1. Plus extensive quality testing ensures that you can keep going...and going. A sleek and stylish design makes this eye-catching laptop easy to take anywhere. With its beautiful brushed keyboard and color-matched hinge, the smartly designed HP 39.6 cm (15.6") laptop looks as good as it performs. Stay connected and entertained with a long-lasting HP fast charge battery and visually rich display. Plus, easily store and enjoy your favorite music, movies, and photos with ample storage.